Do You Like Rihanna’s Gucci Babouska Bag? 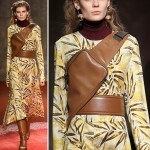 Fashion rumor has it that the Gucci Fall Winter 2008 2009 Handbags are the new IT bags of the cold season 2008. What do you think about Rihanna’s Gucci Babouska Bag? And in reply to your comment: Ah! That’s horrible that you got ripped off so badly, especially by a place like tFS, and not just some unknown little blogger. I like Rhianna’s music and style too, but that bag is U G L Y! I love it, I wish I have one. I thought it was so ugly I couldn’t understand how it could be this season’s it bag! In fact, I’m rather cold when monogrammed bags are involved. It’s misinterpreted branding to my eye. I love the bag!!!!! I t has a lot going on but that is the appeal of it. I love this bag!! I found it at Deluxepurse only for 150usd ! I wish I hav the bag very much!!!!!!!!!!!!!!!!!!!!! Maybe this particular style is not for everyone. 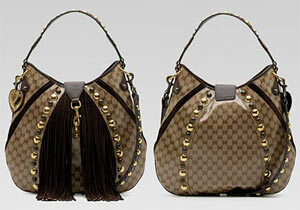 Have you ever seen the guccissima leather version? I bought it here in Atlanta @ the Chic Boutique and it’s HOT!!!! It took me a few months to actually carry it cause it’s just that spectacular.